Carpet tile is the best option for your home & office flooring!! 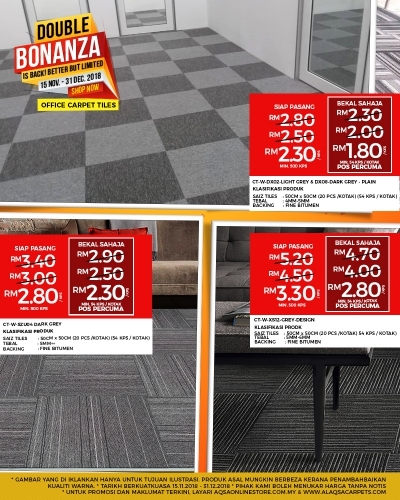 Now move in with more savings with our Carpet Tiles!! We have a great offer for you!! IT'S THE DOUBLE BONANZA PROMO! !